The business began in 1940; a restaurant opened by brothers Richard and Maurice McDonald in San Bernardino, California. The opening of a franchised was first acquired by Czech-American businessman Ray Kroc in Des Plaines, Illinois on 1955 which led its worldwide expansion and became listed on the public stock markets in 1965. Today, McDonald’s Corporation is the world’s largest chain of hamburger fast food restaurants which serves around 68 million customers daily in 119 countries globally. The company was managing with its segment which includes the United States, Europe, Asia, the Middle East, and Africa. McDonalds’s offer variations to suit each consumer’s preferences and taste, its menu includes, hamburgers, cheeseburgers, several chicken sandwiches beverages, and many others. They have the passion for quality, that every single ingredient was tested and perfected to fit the operating system. As the company expands into international markets it becomes a symbol of globalization, its prominence has sometimes made as a topic of public debates about obesity, corporate ethics, and consumer responsibility. Mc Donald’s generates its income as an investor in properties, a franchiser of restaurants and an operator of restaurants. Around 154% of the restaurants are owned and operated by McDonald’s Corporation directly. Moreover, the business operates through a variety of franchise agreements and joint ventures, wherein they collect franchise fees and marketing fees and also collect rent which calculated on the basis of sales. The company’s policy includes organizing the supply of food and materials to the restaurant through approved third party logistics operators and strictly would not allow direct sales of food or materials to franchisees. Moreover, the company retains all of the profit earned by company-owned restaurants, they also incur a cost that is largely fixed they ensure the profit of each restaurant is either maintained or increased. The owner of each franchised restaurant keeps all the profit they make through sales after paying McDonald’s a royalty for trading under the brand name and rent for operating in a company’s owned property. The main advantage of operating franchised restaurants is that it guarantees a stream of income as the company sees to it to reduce the level of risk while enabling. Who is running the business and what is their background? Corporate Governance is one of the main reason that these terms (CEO, CFO) exist. Corporate titles on company officials are means to identify its function and responsibility in the organization. Here are McDonald’s company official’s brief biographies. 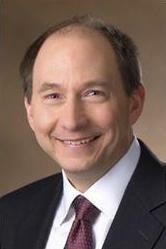 Mr. Donald has been President, Chief Executive Officer since July 2012, and was also elected as Director on 2011. 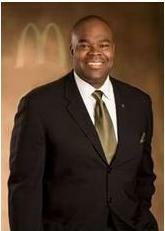 Prior to that, he serves as President, McDonald’s USA from August 2006 to January 2010, Mr. Thompson has been with the Company for 22 years. Mr. Thompson provides a Company perspective in Board discussions about the business, particularly with respect to worldwide operations, competitive landscape, senior leadership and strategic opportunities and challenges for the Company. In addition, as an independent director of another public company, Mr. Thompson has gained additional perspectives, including on governance and operational matters relevant to the Company. During his 23 years at McDonald’s, Thompson has helped drive business results and global strategic innovation across the organization. Since joining as an electrical engineer in 1990, he has held a variety of key leadership positions within the company including Regional Vice President, Division President, and Chief Operating Officer. Between 2006 and 2010, Thompson served as President of McDonald’s USA, the company’s largest business segment. Most recently as President and COO of McDonald’s Corporation, Thompson and his leadership team established three global growth priorities in support of the McDonald’s Plan to win: to optimize the menu, modernize the customer experience and broaden restaurant accessibility. Mr. Peter J. Bensen is Chief Financial Officer, Senior Executive Vice President of the company a position he has held since January 2008. He is responsible for all financials matter of the company including Accounting, Internal Audit, and Controls, Tax, Treasury and Investor Relation as well as IT, Shared Service, Facilities, and Aviation. Moreover, Mr. Bensen has joined McDonald’s in 1996 as Director of Financial Accounting & reporting and subsequently held positions of increasing responsibility. Prior to joining the company, He was a senior manager for Ernst & Young in Chicago, where he serves multi-national audit, clients. Mr. Bensen is a graduate of St. Joseph’s College in Rensselaer, Indiana. Do you trust these people and are they confident? Basing from their company’s profile, I do trust these people and I believe they are confident as they played some major roles. Each of their experiences is the best factors that they could contribute in order to the company’s progress. The above data shows that McDonald’s corporation has an average degree of liquidity; current ratios which have an average of 1.44 and the quick ratio was averaging to 1.18. It tells us that the company is capable of meeting its short-term obligations when the due date comes. Moreover, the solvency ratio has an average of 0.50, and the leverage ratio has an average of 0.85 percent, an indication that the company is solvent. 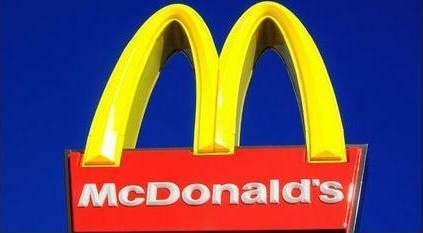 McDonald’s gross margin was averaging 38 percent and has a stable movement. Net margin was averaging 18.62 percent however, it is trending down year over year. The Investment Valuation has always been a topic in financial and business circles, the method used is the basic mathematical technique that calculates the value of an investment as the present value of all future cash flows expected to be generated by the investment. McDonald’s has a sustainable growth rate of 17 percent, average, and the calculated margin of safety was 62 percent. Moreover, the market capitalization was $94.84 billion at a share price of $93.53 as of Aug.12, 2014.
the price to earnings ratio has an average of 18.20, this is the price that the investors are willing to pay for the stock of the company. Earnings per share were averaging $ 5.12 this is the company’s net earnings allocated to each share of common stocks.